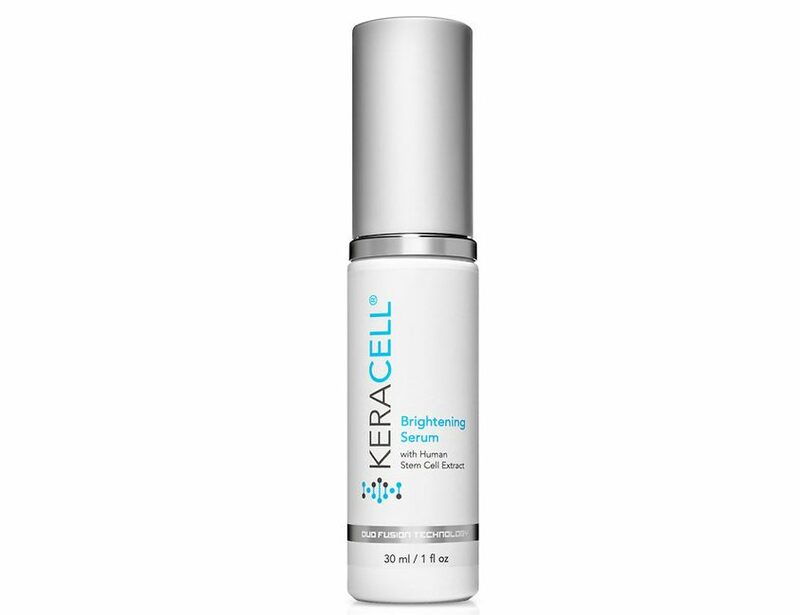 KERACELL® Anti-Aging Brightening Serum, featuring MHCsc technology, is specially formulated with a blend of the world’s finest ingredients known for brightening and evening out skin tone. This powerful formula works synergistically with the stem cell growth factors, potent Peptides and anti-oxidants by blocking the melanogenesis process at multiple levels, and protects skin from inflammation to help improve photoaging marks and hyperpigmentation for a more even complexion. Helps minimize fine lines, wrinkles, dark circles, sagging and improves radiance. Visible results can be seen after 28 days with long lasting results after 3 months. Deionized Water, Human Stem Conditioned Media, Chondrus Crispus Extract (and) Sodium Hyalurate, Glycerin, Propanediol, Palmaria Palmata Extract, Water (and) Glycerin (and) Diglucosyl Gallic Acid, Water (and) Butylene Glycol (and) Hydrogenated Lecithin (and) Sodium Oleate (and) Oligopeptide-68 (and) Disodium, EDTA, Sodium Phytate (and) Glycerin (and) Morus Alba Fruit Extract, Dipotassium Glycyrrhizate Sodium Acrylates Copolymer (and) Lecithin, Phenoxyethanol, Ethylhexyglycerin, Natural Fragrance.